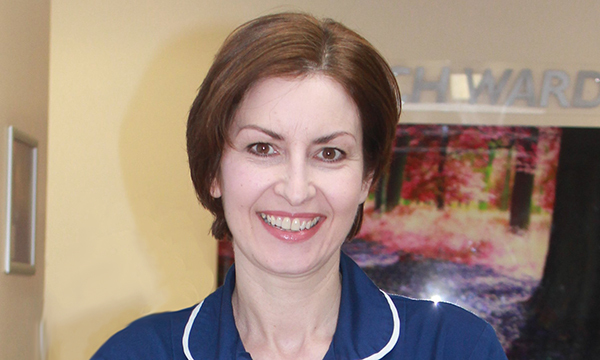 I am a tissue viability nurse consultant at Liverpool Heart and Chest Hospital NHS Foundation Trust. The Department of Health introduced the role of the ‘nurse consultant’ in the nursing strategy Making a Difference as part of an improved career pathway for experienced nurses so that their expertise could be retained in clinical practice. Nurse consultant posts differ between organisations, but they have some generic roles and responsibilities: leadership, in the form of consultancy; expert practice; service development, research and evaluation; and education. The role includes clinical and strategic responsibilities. It requires 50% of our time in clinical practice, providing expert knowledge to patients and staff, and 50% of our time spent on service improvement, research and evaluation. I am responsible for delivering a service that is patient and family centred, focusing on continuous quality improvement and improving patient outcomes. Nursing was not my first career choice. I initially studied and worked in accountancy but it wasn’t for me so I considered other career choices. Nursing seemed to be one I was better suited to because it gave me an opportunity to use my interpersonal skills. There is a lot of job satisfaction in achieving good patient outcomes and meeting strategic targets, such as a reduction in the incidence of pressure ulcers. Nothing is more satisfying than seeing previously non-healing or complex wounds progress, and the positive effect this has on patients and their families. I have completed formal leadership modules, most recently as part of my master’s course. However, I have developed these skills by leading this service. It is important to be self-aware, engage with staff and adopt a variety of leadership styles depending on the situation. How does your job make use of your skills? It requires effective leadership skills, an ability to motivate others, and a willingness to lead change and improvements. The greatest challenges are time management, and setting clear objectives and timeframes. Keeping focused on these goals is essential. Other effective leaders or speakers have inspired me, and hearing about innovative practices and changes that have been successfully implemented elsewhere motivates me to review local practices. I am always seeking to improve the service we provide for patients and staff. I am a trained acupuncture therapist so I sometimes get asked to needle family and friends with aches and pains. Otherwise, I love to socialise and eat out with family and friends. It is not my recognised achievements, such as awards or academic work, that make me most proud; it is the reaction of patients for whom my interventions have made a difference. I see patients who have had chronic wounds for months, sometimes years, but by changing the way their wounds are managed I have helped ensure they fully heal. I am so pleased for the patients and their families when I see their reaction and I can see what a difference has been made to their lives. For me, a good nurse leader is always visible. It is also important to share a clear vision with staff. I engage with staff, listen to their ideas and thoughts, and try to motivate them. Staff who look after patients often have the best ideas and I have supported some of these ideas into practice. What advice would you pass on to students and junior staff? We are all working in an under-resourced healthcare service and the pressures are often felt by junior staff. I would ask them to remember why they went into nursing, talk to their colleagues and support each other. I would also encourage them to think of new ideas and ways of working that improve care, and share these ideas. After all, nursing still is one of the best and most rewarding jobs available, and students and junior staff are the leaders of the future.